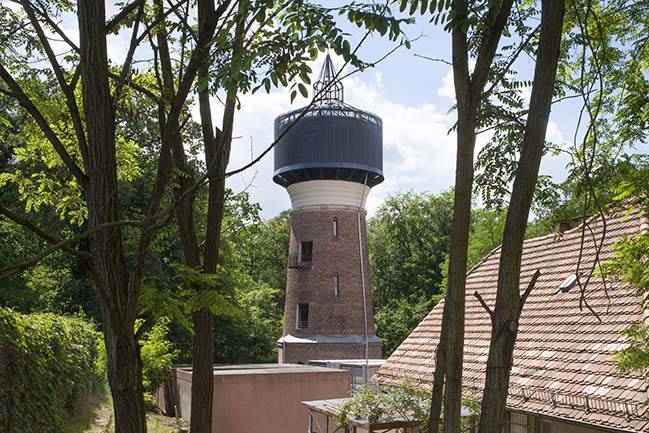 A German-Spanish couple, both architects from Wirth Alonso Architekten bought the water tower near the old Kaiserbahnhof was built approximately in 1910 and turned it into housing, also for the small nearby house with the possibility of being used independently. 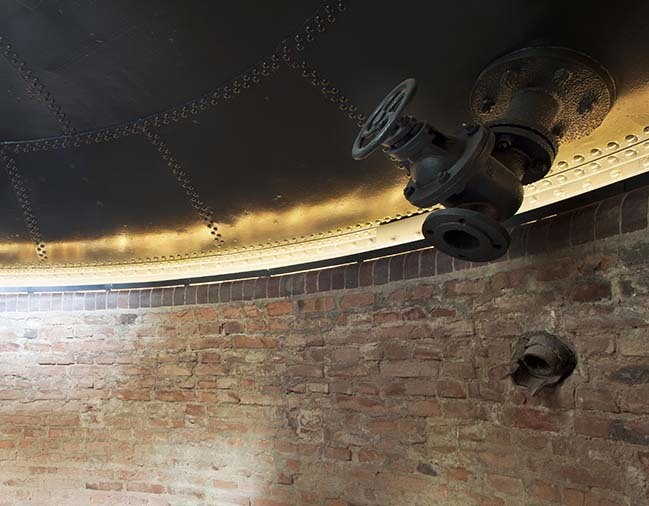 From the architect: At the end of the 19th century, many water tanks were built near railway stations in order to serve steam locomotives. 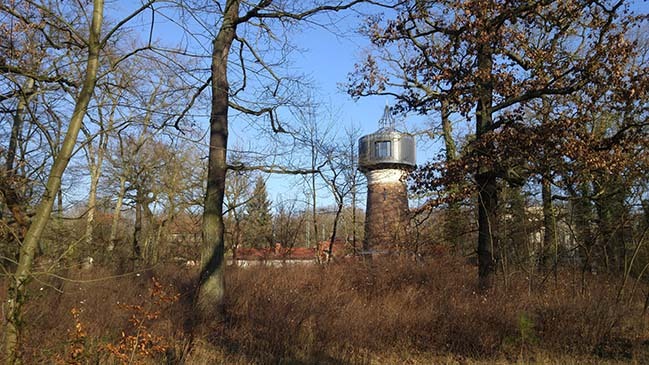 Engineer Otto Intze developed different designs of steel tanks and was the driving force in Germany of these unique buildings. When the railway network was modernized with diesel locomotives and then electric locomotives, they were abandoned. Many were demolished or are in a state of ruin, some have been rehabilitated. 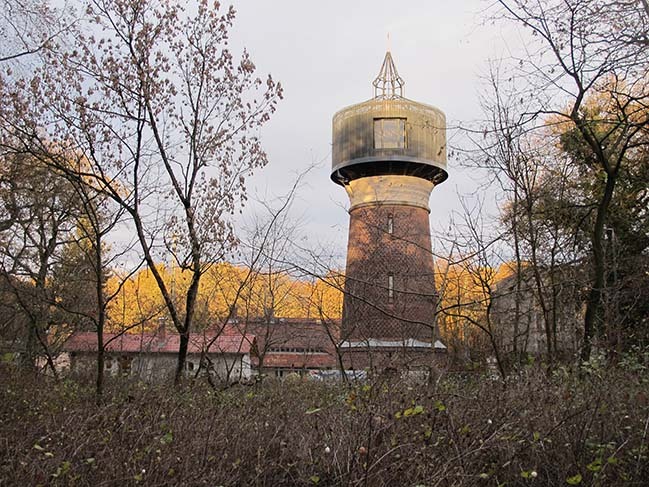 The water tower near the old Kaiserbahnhof was built approximately in 1910 and was a ruin, when we (a german-spanish couple, both architects) bought it. 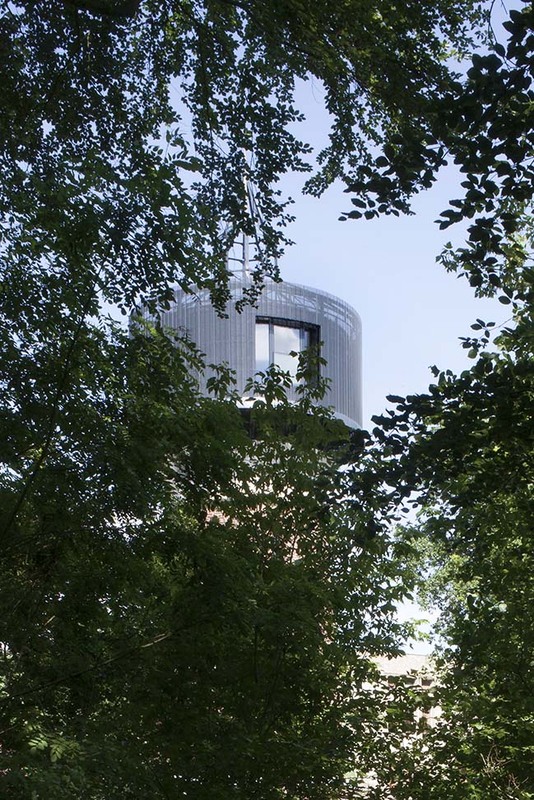 For the monument office outer appearance of the tower is of importance due to the proximity to the UNESCO World Heritage Site of Sanssouci Park, which has influenced the materials and colors of the façade. 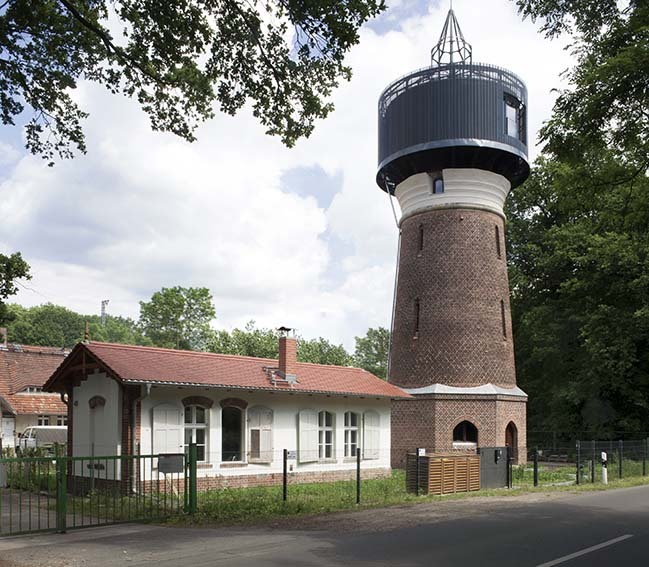 The purpose of the rehabilitation is turning the tower into housing, also for the small nearby house, with the possibility of being used independently. 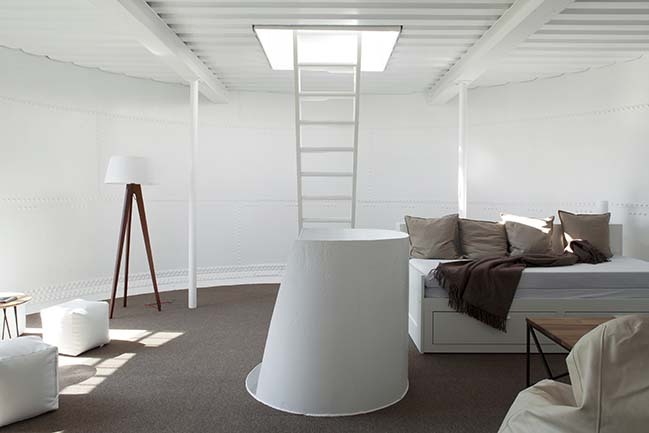 Therefore the interior spaces and facilities were adapted to the new use. The maximization of the useful floor area, compliance with local regulations and, especially, fire protection are the main terms. 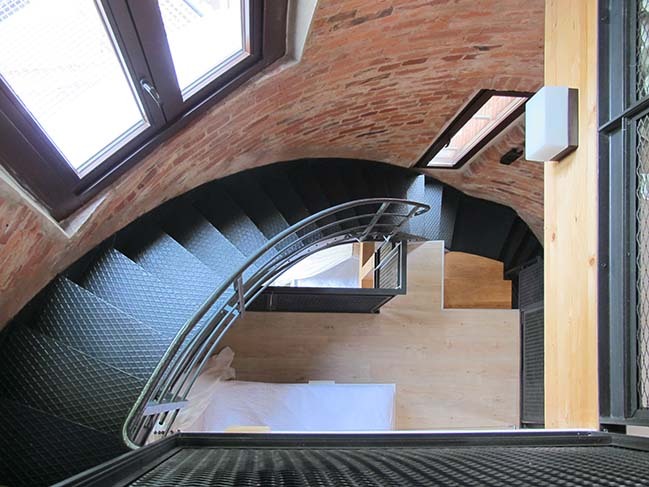 How do we face a 6-story house without a lift? 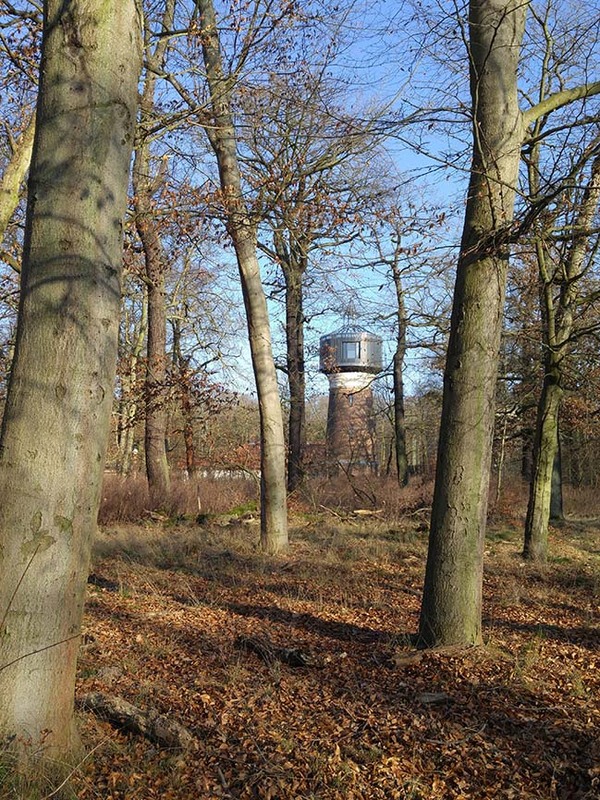 What we propose is to treat the vertical path as a spatial experience. Each floor has a single use and is different from the previous ones, different in height, distribution, lighting and furniture. Each level is a project. 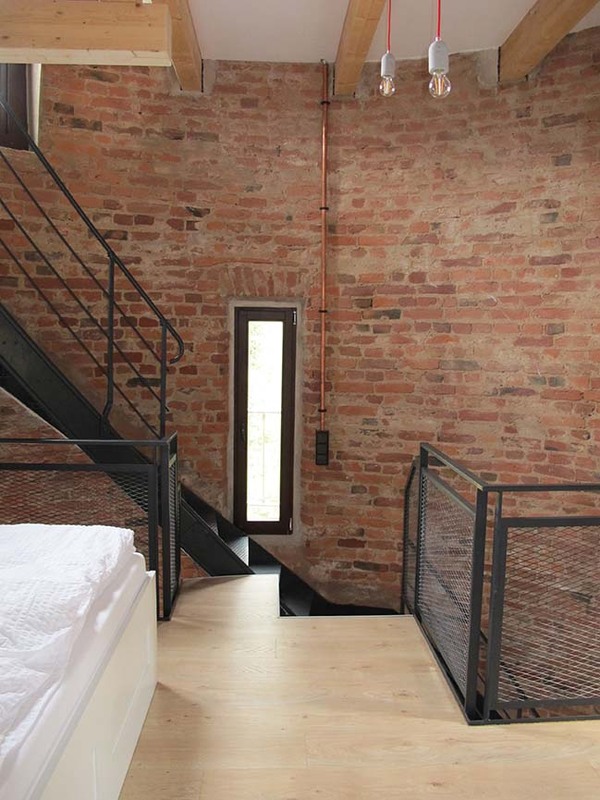 The existing building is respected, trying to preserve as much as possible of historic details, including the domed ceiling on the ground floor, fair-faced brick walls, an old iron staircase, and an historic water tank with original fittings. The new elements are differentiated and the old ones are enhanced. The entrance of light is maximized taking advantage of the new windows, some because of fire protection regulations and others providing new great views. 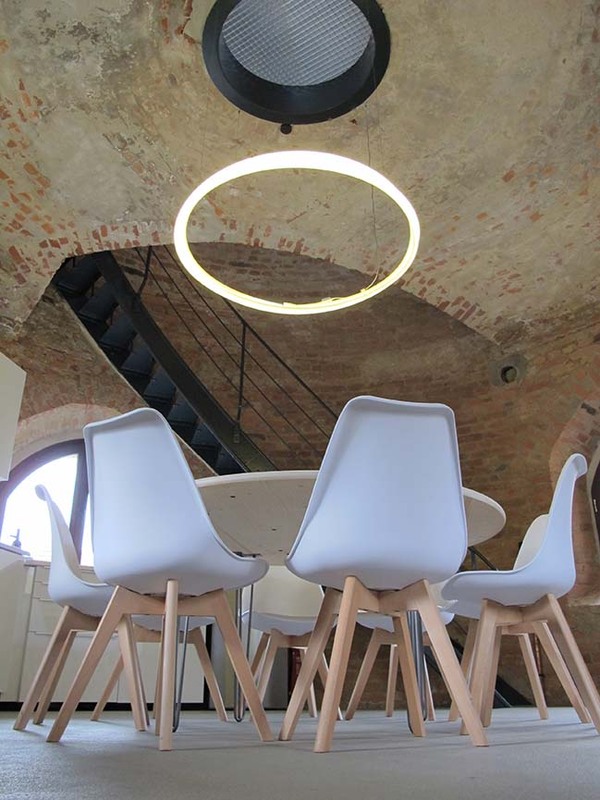 The open design of the living areas, the round rooms and vertical visual axes create a special sense of space. 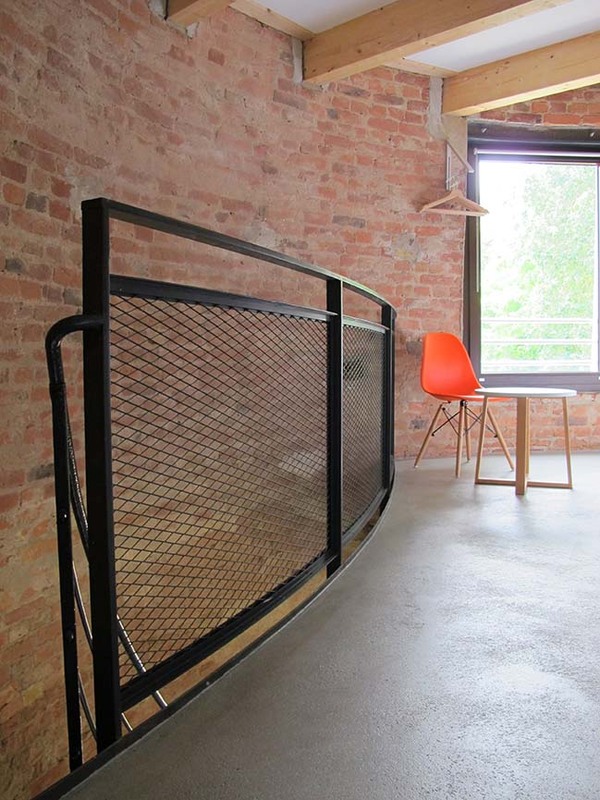 The lower levels with brick walls have a warm atmosphere, but in the tank a certain abstraction can be experienced. 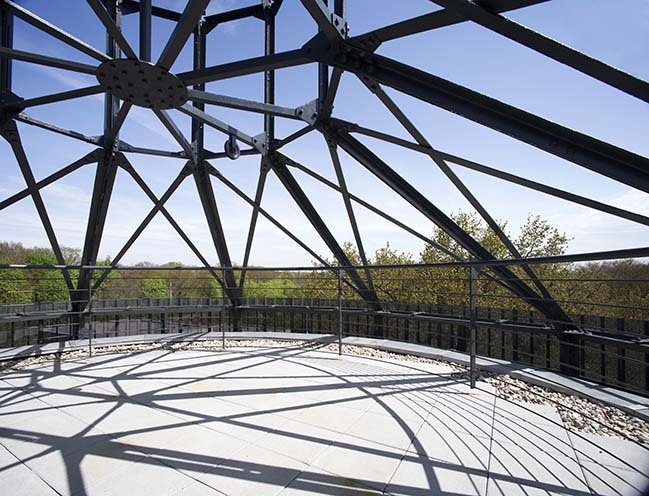 The upper terrace allows us to enjoy the fantastic panoramic views. It was essential for us to preserve the riveted structure of the original cover. Concerning the façade we made as little intervention as possible, except at the top. 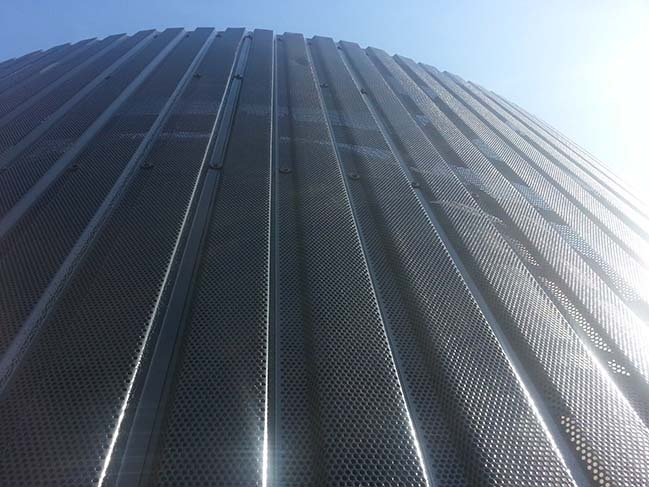 The envelope of the tank is recovered but changing the materiality, playing with the transparencies provided by the aluminum perforated sheet, which is changing depending on the daylight and which allows to adumbrate the existing steel structure.